Anindita Sengupta is a careful poet, someone whose words never spin out of control and whose meaning is conveyed tremor for tremor for any reader willing to listen. Her first collection City of Water was published by Sahitya Akademi in 2010. 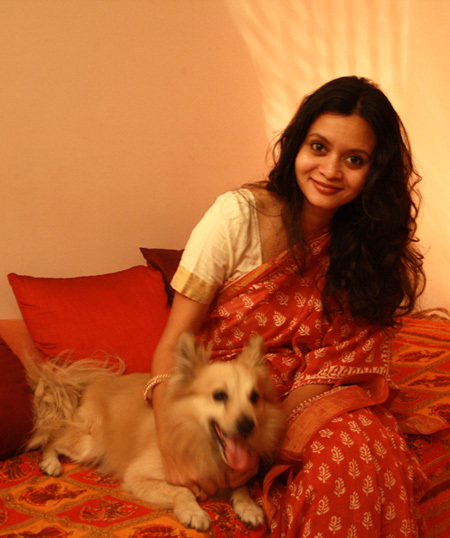 Her work has also appeared in several journals and anthologies including Eclectica, Nth Position, Mascara Literary Review, Ourobouros Review, Cha: An Asian Journal, Pratilipi, and Muse India, as well as Not a Muse (Haven Books, 2009), Writing Love (Rupa, 2010), and Poetry with Prakriti (Prakriti Foundation, 2010). In 2008, she received the Toto Funds the Arts Award for Creative Writing and in 2010, she received the Charles Wallace Fellowship to be a writer-in-residence at University of Kent, England. 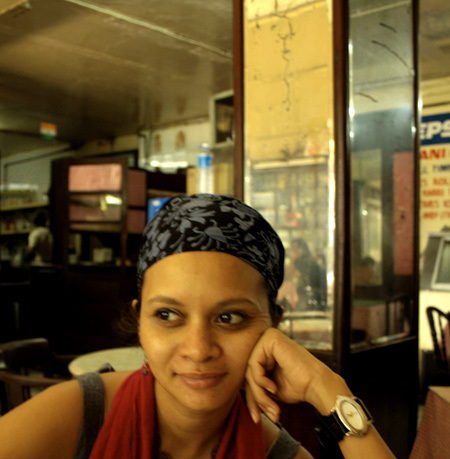 In 2012, she received the Muse India Young Writer Award for City of Water. She works as an independent writer, columnist, and consultant and is the founding editor of Ultra Violet, a site for contemporary feminism in India. Poetry often works with personal obsessions. Some poets pursue geography, some love. Is there a story behind the ‘city of water’ or was the motif of water just something that your work absorbed during the time in which you compiled the book? I am preoccupied with geography. Place is important to me; sometimes, too important. The incline of land, the presence of water bodies, the exact quality of light or air—I’m continually trying to pin these down, continually affected in some deep, physical way by them. When I wrote City of Water, I was grappling with my own physical and mental response to Bangalore. I had moved there in 2001 because of a family relocation and then other circumstances forced me to remain. I had been trying to make the best of it for five years or so at the time but the texture of life seemed different from what I had wanted when I was younger. I missed Bombay. The light. The sea. The ferocity of rain. Possibly, some of this found its way into the poems. There certainly seems to be an obsession with water, which is probably how I was experiencing my discomfort most. I used to go for drives around the city, round and round, as if looking for something. I realised only recently when I moved back to Bombay that I was hunting water on all those endless, night-time drives. Journeys hold a certain fascination for anyone who writes. Tell us about your journey with Ultra Violet, India’s first feminist collablog. From inception to present day, what has the ride been like? Fascinating. Frustrating. A bit of both. I started it because I felt there was a need for an online space for urban feminists to share what bothered them. Over time, a lot of women have said that they find it useful. I’m happy about that. I’m also constantly interested in the patterns I see with the articles that come in. There are some issues that urban women are really bothered by and these appear again and again: skin colour, sexual harassment, travelling alone. At the same time, each writer brings her own voice, her own context. Over 200-odd posts, there has also emerged an amazing diversity of themes ranging from divorce to caste, abortion to religion. It’s wonderful to be able to see what urban, middle-class women are concerned with, what they want to talk about. And yet, I’m constantly aware of the limitations of English cyber-activism in our country. I wish the scope could be larger. Still, if it’s useful at some level even to some people, that’s worth something I think. In an article in Ultra Violet, you say, ‘At any rate, I do believe in this: even when there are problems that we can do nothing about, it’s important to know. To note. To remember. Because forgetting would be the last nail in the coffin, the final bone burned to cinders.’ Personally, does just spreading awareness seem like too little sometimes? Yes. Often. I’ve written a couple of posts on Ultra Violet about it as well. About futility and fatigue and so on. I’m always aware that I’m doing next to nothing but with my limited capabilities, this is all I can do. I’m a writer and an editor and a communicator. So this is what I do. It’s better than doing nothing. I tell myself this when the futility pangs strike. The idea with Ultra Violet was to create awareness, yes, but also to provide a space that was inclusive and pluralistic, a space that could accommodate the multiplicity of voices that make up feminism in this country (and to some extent, in this generation). What’s the point of talking about these things? Someone once asked me that in relation to Ultra Violet. The point of talking is remembering. I’ve heard people say that a journey outward is always also a journey inward. You like to travel. Is that something you prefer to do alone or with other people? Alone. Or with someone close, someone who understands me hugely. Travel is a time of reflection for me, for thought and staring, music and intuition. I find it tiresome to make social chat or small talk and I’m not big on group activities. I prefer intimate time with someone I love. Or time with myself. I like travelling as a journalist because it allows me to step out of the cocoon, talk to someone when I want, and then retreat. You also take photographs. Do you find that you can express yourself through pictures as well? Or are they pictures taken for posterity rather than art? Is there a difference between writing poetry and taking pictures, or do they emerge from the same instinct? I think they emerge from a similar instinct but they occupy very different spaces in my life. I don’t really make much of an effort with the photography. Poetry is more compulsive; I have to write often or I become unhappy. All my nerves jangle. I feel restless. Photography is not like that; it’s just something I do for fun and I can go long periods without taking pictures. I do like recording things for posterity, though. The past is important to me and so are personal histories. I also take photographs to hone a way of seeing, a way of looking at things. I find that’s very important to my poetry and often feeds into it quite directly. Feminism is clearly a pivotal issue in your life; would you consider yourself a feminist poet? A nuanced, sometimes restrained femininity does emerge from work in poems like Parvati, The Nizam’s Wives, and A Violence Done. To make my question more lucid, would you consider some of your work political at some level? Writing is a way of engaging with experience, of making sense of what is inchoate and messy inside one’s head or out in the world. When I wrote poems like The Migrant’s Wife, The Nizam’s Wives, or A Violence Done, I was interested in engaging with those experiences. At the time, I didn’t consciously think of these as feminist experiences but I can see that they are. What I’m saying is the analysis happens after the living. I don’t sit down to write with an agenda in mind but naturally my poetry is informed by everything I am and that includes my political self. I tend to resist the label of ‘feminist poet’, though, because it can suggest that I only write poetry about women. I’m interested in women and in their lives so I often find myself writing about them/us. But I’m interested in people of other genders as well. And in animals. And things. Patio, Arambol, Goa, and Storm-Chasing: they all seemed to have one thing in common; they all dealt with moments during which you remained silent—or so it seemed to me. And it was interesting because it wasn’t a forced silence, but a voluntary one and you articulated it in the written word rather than the spoken one. Thoughts? Silence is important to me, both in terms of the writing process and in terms of the poem itself. One is constantly choosing what to say, how much to leave unsaid. So perhaps this becomes a central question in one’s life as well. Kabir talks about making song from formlessness or ‘shunya’. Void. So reaching for that void, feeling it, is an important thing. In a sense one is constantly striving to achieve that state, that space, of voluntary silence. It’s like a whiteness in the head. And yes, I think I did experience that whiteness in all these poems. Articulating that experience in writing—well, that’s always the point, isn’t it? Sometimes, I think I don’t live life for itself; I live life so that I can record it/write about it. What I mean is I sometimes tend to weigh experience in terms of its writing worth. I know other writers who do the same. We must be a pretty calculating, mercenary bunch really. What’s next? For your writing, your travels, and/or your work? I’m writing poetry for what I hope is my second collection. Meanwhile, I continue to work as a consultant and journalist, and run Ultra Violet. I recently asked for help with the site and have received some positive responses from other feminists. I’m hoping this will help make it stronger. A lot of my focus is on the personal right now. I’m expecting a baby soon and I’ve been told that making plans at this point is pointless because they’re going to be upended anyway. Let’s see what happens when the dust settles in a few months. What a wonderfully written and inspiring interview! Ultra Violet is one of my go-to websites for thought-provoking essays, and it’s great to know so much more about the founder. At the risk of sounding cynical, she is just another wannabe contemporary poet. She turns out poetry by the dozen. There is no freshness of thought. She sees Bombay or Bangalore just as anyone else does – the sea, the rain, the slums. Her poems are full of hackneyed themes, over exposed ideas that dont twist any heartstrings. I beg to differ. Every theme is hackneyed, it’s about bringing something new to the done-to-death. Sure, her book is full of the sea and rain, but if you look at work such as Storm Chasing for example, what is typical about that? And on another note, poetry isn’t simply about twisting heartstrings, it has subtler influences than that. She IS a subtle poet, look at Peach or Dolls even. Clearly, you find her highly readable; hence, the interview. The intention was not to make you subscribe to my standpoint. It’s for the poet to know how a certain reader feels about her work. Maybe she’ll see the point I am trying to make. Then again, maybe not. But I am just as entitled to an opinion as anyone else is. to know where I’m coming from. Understand, I don’t want you to appreciate the idea, only entertain it, even if it is to ultimately reject it. I beg to differ, hipster-Prachi- by your definition all poems about love, the body, any city is redundant because its been done before. She is a very talented and versatile poet and “The Vivid Stream” definitely tugged at my heartstrings. The general pulse of her work reminds me of Plath! Poetry to me is a very visceral thing so I’m not going to pretend to be academic about it. PS. : Great interview Urvashi! Refer to my reply to Urvashi. If you can’t follow – read it again! And again. Till you understand.